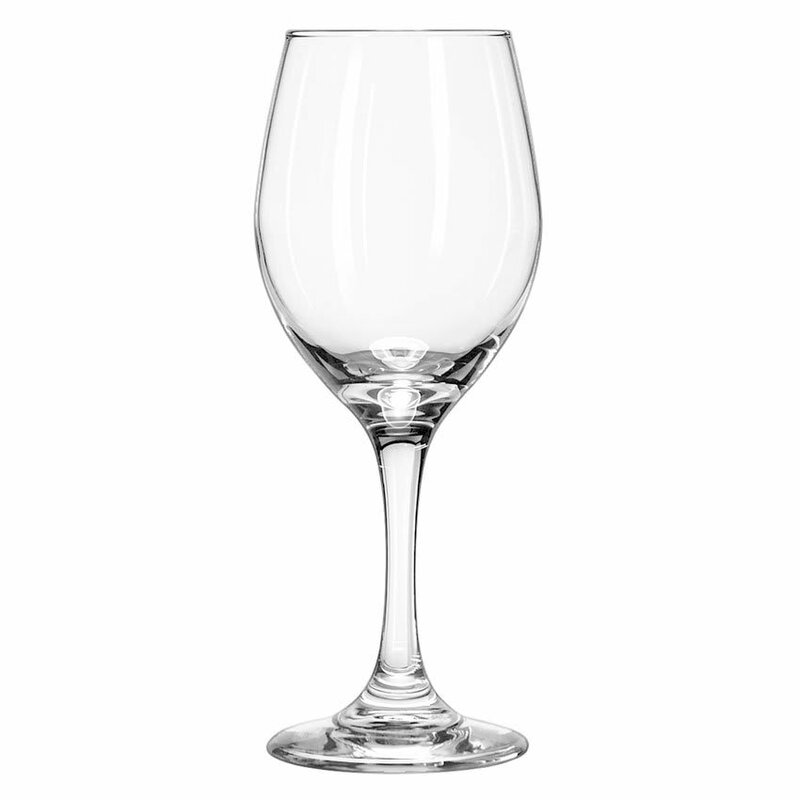 The Libbey 3057 wine glass is part of the Perception series, designed with a gently curving bowl that will give your tabletop a modern, sophisticated look. The glass has an 11-ounce brimful capacity so that you can serve generous 8-ounce portions without worrying about spills occurring in transit or during use. The bowl shape makes this all-purpose wine glass suitable for serving red or white wine, and the elegant stem ensures that heat transfer from users' hands will not warm the contents. This one-piece stemware is covered by the Safedge Rim & Foot Guarantee, which means that the Libbey 3057 will be replaced or your purchase price will be refunded if the rim or foot of the glass chips. This lifetime guarantee is the just one of the ways Libbey stands behind the quality of its products. Overall Dimensions: 77⁄8 in. H x 31⁄8 in. max dia. x 21⁄2 in. top dia. x 27⁄8 in. bottom dia.